I love playing games solo. I'm even warming up to playing wargames against myself, controlling both sides just to admire the systems and see what outcome the game generates (plus, no matter who loses, I win). 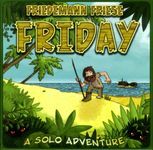 But often I find myself wanting to get away from solitaire games wherein I have to run 3 or 4 characters that would normally be controlled by another person (i.e., cooperatives run solo which aren't viable with just one pawn or character). 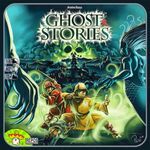 Arkham Horror, Elder Sign, Pandemic, and Forbidden Island are a few examples of these kinds of games. Sometimes I'm also just not in the mood to run a whole squad or army. Variants are okay as long as they don't drastically change the core actions of the game. 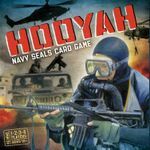 Games where you manipulate an entire force, army, or city aren't really what I'm looking for (i.e., DVG solo wargames, Puerto Rico solo rules, Rune Age). Perhaps most importantly, games should actually be viable with just one character. Lots of games say "1-85 players" on the box or whatever, but they were balanced for a sweet spot of 3 or 4 and just won't work with only one character. Also: if I'm missing a Geeklist on this already, please let me know. I could not find one. I have soloed every mission with just one character and it has been a great time. The only ones that this game does not work with are the "Scattered" mission and in my experience, Horde mode (which just isn't fun with one guy). Love playing this one solo--super-fast with just one character. But I do use an adaptation of one of the suggested dice combat variants so it's not bogged down by the RPS system. 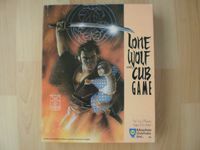 I have not played this grail of mine yet, but my understanding is that one-character play is optimal, even ideal here. Another I haven't played yet, but I believe fits the bill. I prefer this one solo, controlling one character. There is no board or spatial element, but you do select a role at the beginning based on the mission you're going on. Works very well (I believe it was playtested solo a lot during development). 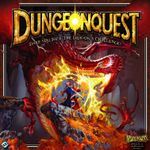 One-character solo play in a simple, fun dungeon crawl. Simplistic but definitely viable and enjoyable for a few plays with just one character (though the characters are accompanied by an army of followers, essentially it's just a health stat). I enjoyed this one long long ago. A classic, still available as a download approved by the publisher. 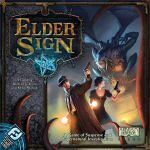 I'm aware that you actually mentioned Elder Sign as one of the games you'd like to take a break from, but I thought I'd point out that ES is actually eminently playable with just one investigator. My wife is currently doing her own meta-campaign where she strives to complete all available campaigns on the iPad app with the same single investigator (don't know who it is she picked, though). 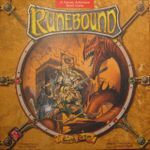 Runebound is very playable solo with a single character. In fact, lots of people say that's actually the *best* way to play it. Cooperative that can work with a single Taoist. Arguably a bit harder than the 2-3 player sweet spot since you can get stuck in needing to be in two places at once. If you prefer dice to cards for generating randomness. 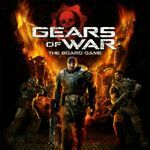 Works solo, though I think it is much better with 2-3 players each playing their own group since there are definite benefits to helping each other. War game of single nightfighter hunting bombers. Designed for 2-player with one essentially as the referee handling the bombers and detection thereof. However, there are solitaire rules out there that modify some rules and make it playable solo. However, while I have printed them out I have not had the opportunity to try out these solitaire rules. Quirky and hard to find, but definitely one character friendly. There's not much to them, but this series can be played both solo and with a single character. You have a single character defined by three trait cards. 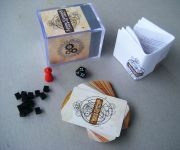 Paragraph-driven, but still has enough mechanics to bring it into the boardgame category rather than an adventure game book. Daigoro isn't really a character (more like a sidekick). 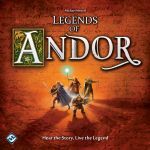 Legend 3 is the one that offers most variety and random events anyway, so you could get some hours of playing time out of it. It's probably not worth to buy the game just for this scenario though. A solo puzzle style mini-quest kind of game. For this one you actually pick a character randomly and he or she gives you a specific bonus while playing the game. I'm in the process of building this one (waiting for the Arts cow order), but you play a librarian of sorts. You are a lone submarine trying to accomplish a daring mission (waiting on the Arts Cow for this one too). You are a lone adventurer trying to accomplish the tasks to claim your kingdom. I love this one. Sure, it's the same story (with variations) each time, but it's fun and easy to play, which is what I need at this phase of life.